They would be perfect for student housing! It's a constant struggle here (and maybe everywhere?) with institutions in the city like KCUMB, St. Luke's, KCLife, etc. They're valuable assets, but how do you keep them from consuming the neighborhoods around them and enlarging these holes in the fabric of the city? For parking spots! Doesn't sound like a done deal though. It puzzles me that the university is buying all the mentioned properties to demolish for parking, when it already owns several vacant parcels south of Independence Avenue--and others that are presently grassy lots, or not used for anything useful at all. I've also wondered why the university didn't purchase the Colonades years ago for student housing. KCUMB doesn't own any student housing. There are plenty of older apartment buildings around their campus they could have purchased for that purpose in the past. The news article does mention that KCUMB isn't in the business of managing properties though. It seems strange to me that they don't have their own housing for at least some of their students. Many of their students rent apartments in the Century Towers across the street. There appear to be 224 apartments in that building. The university has 1,100 students enrolled. I'm puzzled why KCMO still owns that large parcel indicated on the lower left of the photo? The university also bought that auto body shop building on Admiral and Highland. I think it was constructed as a Piggly Wiggly store. They've cleared the junkyard around the building and put up a fence. Hard to tell if anything has been done to the building. If the city would get that 7-11 (Woodland) and BP gas station (Maple) out of there that area would improve 100% more. The drugs and crime around those 2 places are why KCUMB doesn't want their students parking and walking from that far south. It's simply a freak show behind there. FangKC wrote: I'm puzzled why KCMO still owns that large parcel indicated on the lower left of the photo? That's a weird exception in the parcel viewer. It's park green but not selectable. The lot lines don't form a shape, the lines just stop here. Looks like it might be part of Kessler Park. If it's parkland it takes a vote to completely get rid of it. 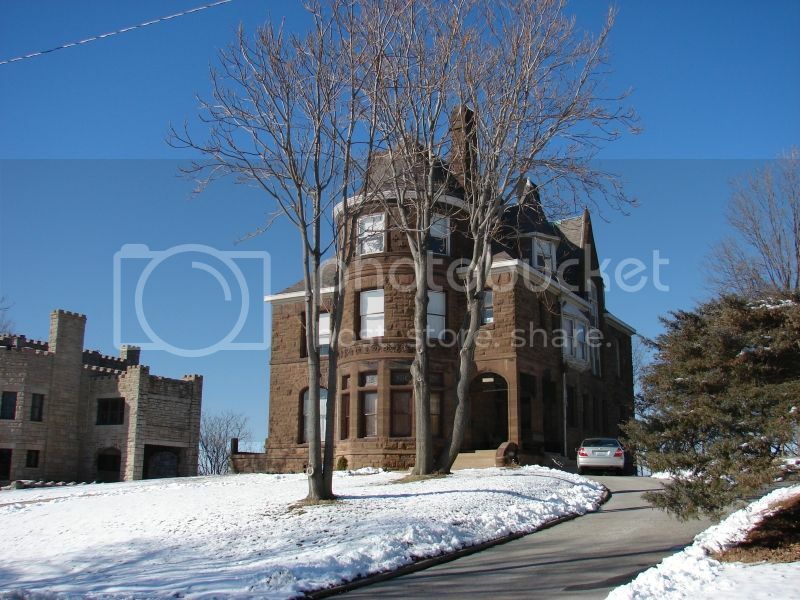 "KCU has no immediate plans for development on the Brownell properties, located between Woodland Avenue and Maple Street. The other property, Colonial Courts, will include an expansion of the existing parking lot to address an immediate parking shortage for the university. Alex said the space also would allow for the eventual construction of new academic buildings.According to a staff report, KCU owns eight parcels, with nine structures, within the historic overlay district. Revised plans show that KCU plans to relocate structurally sound buildings instead of demolishing them. Alex said KCU has been working with the local neighborhood association to modify plans for historic preservation. KCU’s $75 million master plan, drafted in 2013, proposes expansion and improvements to the campus, including the new simulation center, parking and green space. The master plan incorporates KCU’s anticipated growth needs during the next three to five years, according to the staff report. This growth is expected to occur incrementally, with new buildings, renovations, parking areas and other site enhancements." In the past two weeks, The Northeast News published a proposed campus map that showed expanded parking, and also plans to close Woodland Avenue between Independence Avenue and Brownell. They have already closed Highland as a through street. I looked for the proposed campus changes online, but didn't find it. I would have scanned it, but I threw the paper out. This was the first campus map I've seen where it proposed closing Woodland. Here's a Google aerial view of the area for reference. 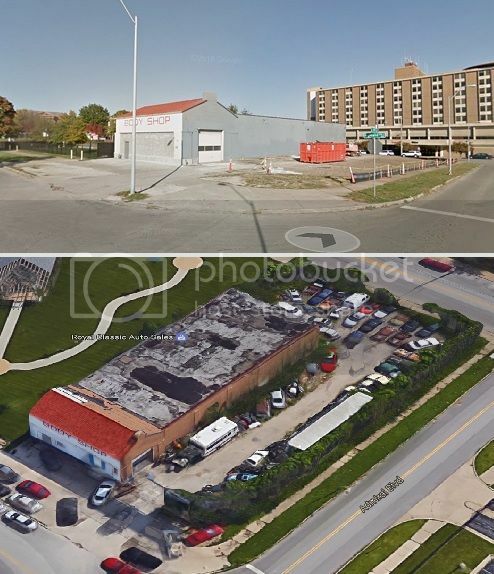 I noticed on the KCMO Development Tracker Map that a proposal has come up for a retail building at Independence and Prospect on the lot of the building lost in the fire. 1 Story, 8,000 sq ft, 6 unit retail building. Northing special (especially compared to what was lost), but at least the building is facing the street and parking is in the rear. Better than this lot sitting vacant indefinitely. It appears that KCU will probably have to go through Landmarks to demolish the Colonial Courts no matter the outcome of the MPD plan. On January 17, 2017, residents of Historic Northeast learned that KCU was planning an unprecedented action at City Hall. They asked that their future development not adhere to existing zoning standards, most specifically, the parks and rec standards and the historic district standards. Over the last month, a group of concerned citizens from Historic Northeast met and planned to inform all citizens of HNE, knowing that all of us who chose to live in HNE would recognize that destroying and ignoring our historic architecture would work in opposition to our investments. However, KCU partnered with Councilmen Lucas and Reed to push the issue through despite the legal issues and neighborhood opposition. Part of the problem is that KCU brings its employees to city council/committee meetings, held midday and midweek. Those of us in opposition have jobs. We have not been able to show up in truly representative numbers, Our last shot at stopping KCU's crazy plan is now. Cm. Lucas has asked that all concerned citizens meet him at the Northeast Library (6000 Wilson) tomorrow evening at 6:30 pm to discuss the issue. No one has to speak. Just showing up en masse would show this very savvy attorney with hopes of becoming KC mayor one day that Historic Northeast will not be taken advantage of without a fight. I am personally inviting you, your family, friends, and neighbors to join us tomorrow to show Cm. Lucas that HNE is a vibrant, engaged, invested community that expects more from its representatives. Please, say you will join us.Also, please pass this message on to everyone you know who may be inclined to join use. We need all the people we can get! Thanks for your time and attention! Disheartening. City Council revokes historic designation of the colonnades to allow for them to be torn down for KCUMB parking. I guess I don't understand how something can stop being historic? Will be sad to see these leave the neighborhood. This is a troubling issue because it has implications for every historic district in the City. A precedent has now been set where any property within an already existing historic district can be removed by the City. This could easily affect the River Market, Downtown, Crossroads, West Bottoms, Jazz District, Armour Boulevard, Westport, the Plaza, W. 39th Street, and any designated historic residential district. Watch what corporations and big institutions may try to do now (Kansas City Life, UMKC, Rockhurst, St. Luke's, Nelson-Atkins) to expand their campuses and add parking. Ok let the discussion begin. 2. Washington Highlands in Washington, D.C.
Where Independence and Providence Avenues cross, and in the areas surrounding this major intersection, people look over their shoulders as they walk down the street. You might not think of Kansas City, Missouri as a violent city, but it has concentrations of poverty just like any city of a decent size. This is one of them, and it's among the most violent places in the nation. The violent crime rate per 1,000 people tops 100, at 104.81. While statisticians still boil that down to a 1-in-10 chance of being a victim of such a crime, it proves that this little neighborhood in Kansas City is even more dangerous than Chicago's storied public housing projects." Of course the numbers are reversed. The #5 is the most dangerous neighborhood with a rate of 106.27. When I think of the most dangerous parts of KCMO, Indy and Prospect isn't the one that comes to mind. Sure there is some crime, but the more dangerous parts of the City are as you go south of 27th Street east of Paseo. I think the epicenter of violent crime is probably around 40th and Prospect.